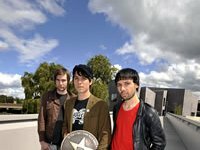 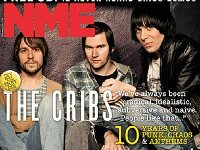 Photo gallery of The Cribs in casual and performance pictures. 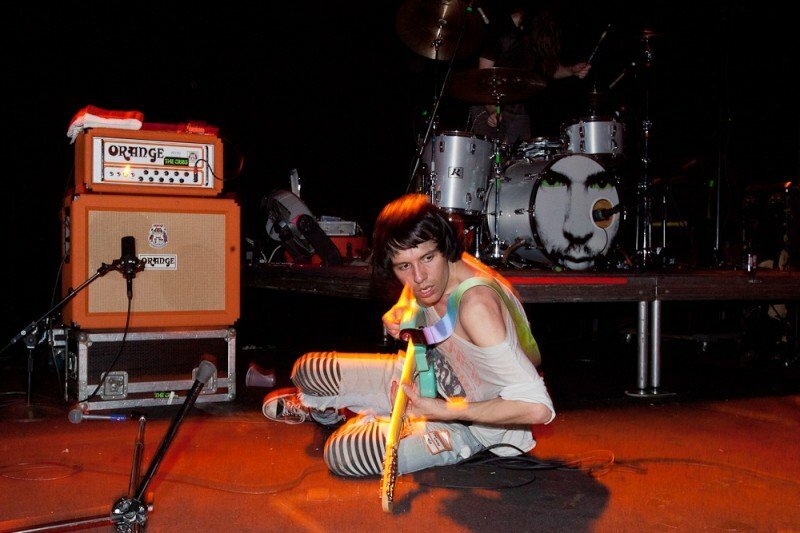 1 The Cribs Ryan Jarman, playing his guitar on the floor, in his orange high top chucks. 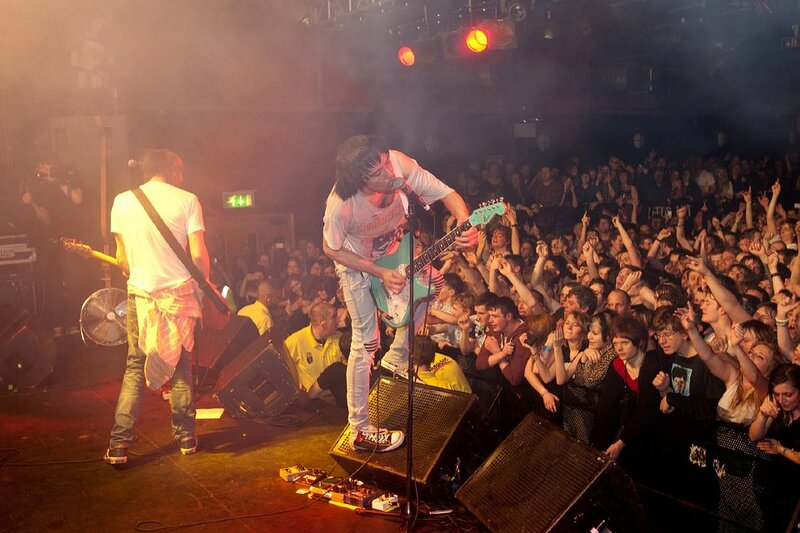 2 The Cribs The Cribs in performance. 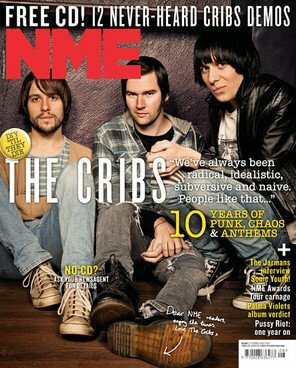 4 The Cribs The Cribs walking on the street. 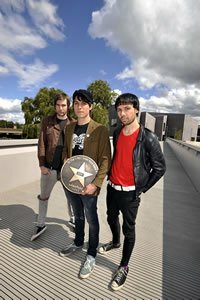 5 The Cribs The band with a star plaque. 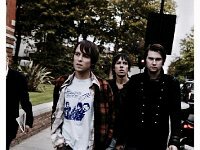 6 The Cribs Outdoor shot of the band. 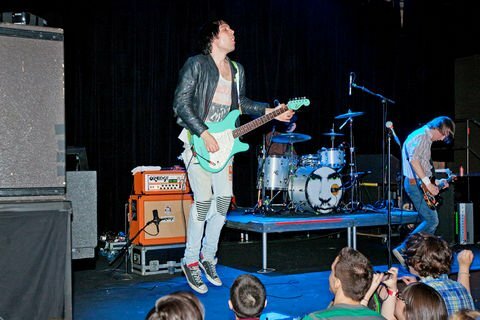 7 The Cribs Ryan Jarman performing in his black low cut chucks. 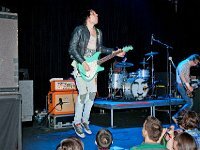 8 The Cribs Ryan Jarman in performance. 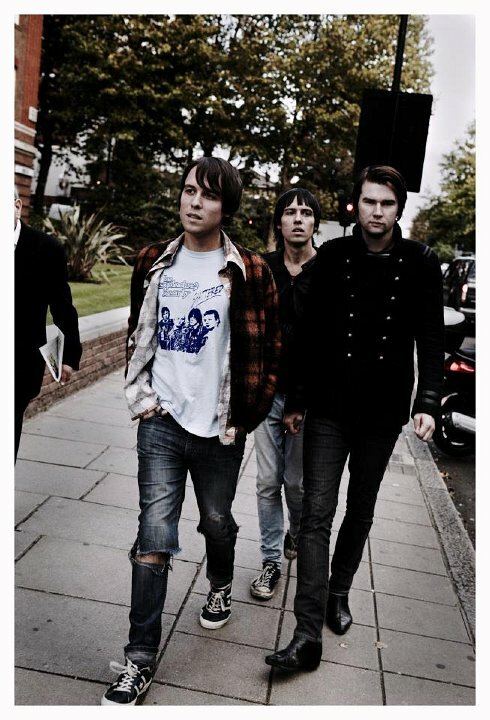 9 The Cribs Walking on a street. 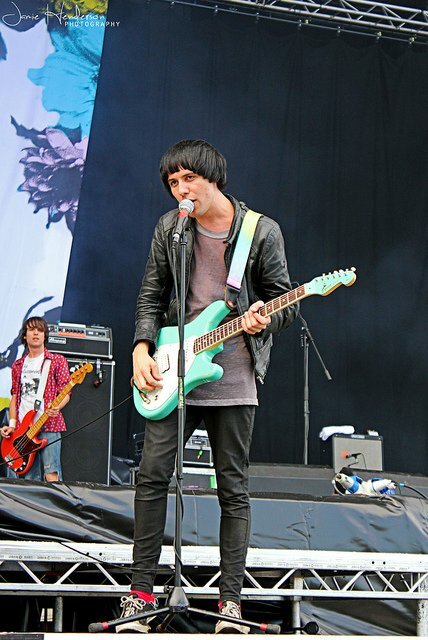 10 The Cribs Ryan Jarman performing. 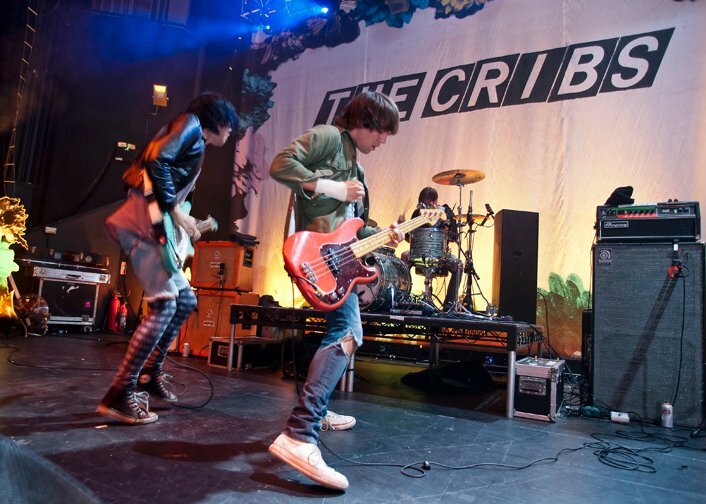 11 The Cribs The Cribs in performance. 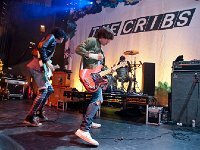 12 The Cribs The Cribs in performance. 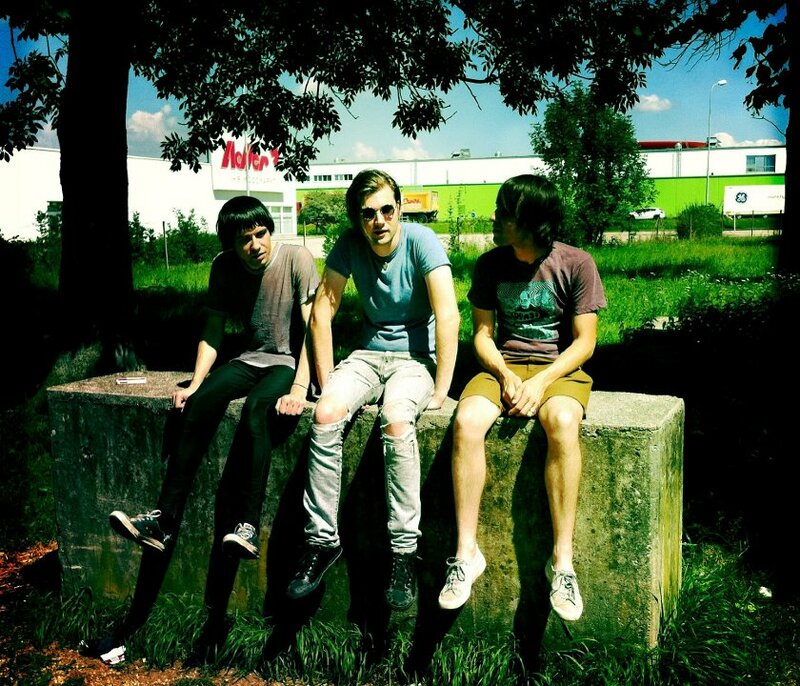 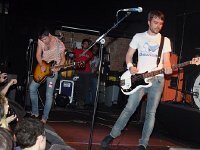 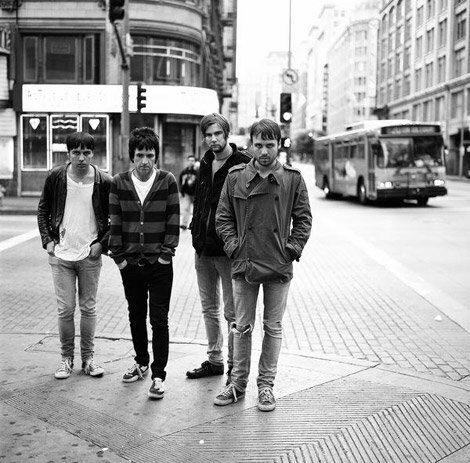 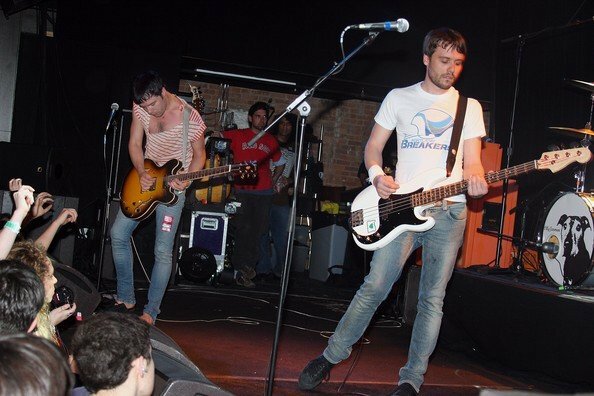 The Cribs are an English three-piece indie rock band originally from Wakefield, West Yorkshire. 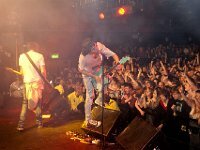 The band consists of twins Gary and Ryan Jarman and their younger brother Ross Jarman. 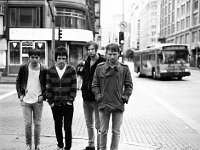 They were subsequently joined by ex-The Smiths and Modest Mouse guitarist Johnny Marr who was made a formal member of the group in 2008. 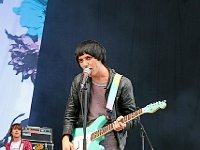 Marr would remain as part of the band until 2011; his departure was officially announced on 11 April through the band's website. 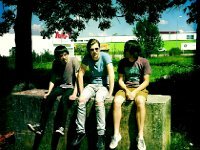 Despite returning to the original trio, the band currently enlists David Jones of Nine Black Alps as a second guitarist for live shows.